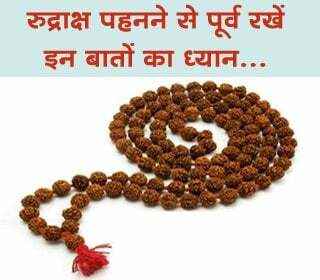 In Maharashtra, there are three and a half Shaktipiths. Tuljapur is one of the complete shaktipiths. This Devi is famous as Devi Bhagwati (Bhavani). 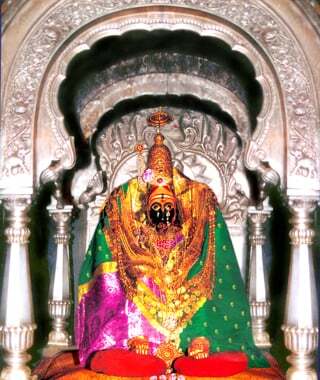 The Tuljapur Bhavani Devi is the Kulswamini (family deity) of Maharashtra. Shivaji Maharaj worshipped Tulja Bhavani, who bestowed the energy to establish the Hindavi Swarajya. She was the inspiration for the warrior spirit prevalent in Maharashtra. This village is on the border of Balaghat. Some parts of the temple are built in the ‘Hemadpanti’ style of architecture. This temple is supposed to be from the time of the Rashtrakutas or Yadavs. Some feel that the temple is from the 17th or 18th century. In Skandapuran, in the chapter on Sahyadri, there is a story about the incarnation of Shri Tuljabhavani. In the Krutyug Rishi Kardam's wife, Tapasvi Anubhuti was in the meditative state. A demon called Kukur tried to molest Anubhuti at that time. Tapasvi Anubhuti prayed to Devi Bhagvati for protection. Devi Bhagvati appeared in person, fought with the demon Kukur and slayed him. Tapasvi Anubhuti pleaded to Devi Bhagwati to reside on the mountain in that area, to which Devi agreed. She is the Devi who rushes to help when a devotee earnestly calls out to her and fulfils their desires. So she is known as Tvarita-Turja-Tulja (Bhavani). Throughout India, this Devi is respected as a kuldevata. 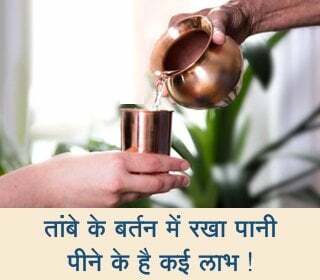 In the Krutyug she was a blessing to Anubhuti, in Tretayug she was a blessing to Shriram, in Dwaparyug she blessed Dharmaraj, and in Kaliyug she bestowed energy on Chatrapati Shivaji maharaj. She is a saviour to her devotees and a Devi who grants boons. The door of the temple which is facing the south is called the ‘Parmar’ door. The great devotee Jagdev Parmar offered his head to the Devi seven times. This incident is carved on the door in the form of verses. In the main hall, the dome is facing the south. An attractive and tranquil idol of Tuljabhavani made from gandaki stone seated on a silver throne is found within the sanctum. The idol is proportionate, with eight hands and appears as Mahishasuramardini. This idol can be moved. To the east of the main hall is the bedroom with a silver bed. Three times a year Devi takes rest on a bed. This practice is not prevalent in any other place. On the walls of the main dome there are small carvings. In the compound there are Kallol tirth, Gomukh tirth, Sidhivinayak temple, Shri BhavaniShankar temple, a pit for sacrificial fire, other Devi and Devatas, a temple of Matangi . Other pilgrim places like Gharrshil, Math of Bharti Buva, Papnash Tirth, Dhakate Tuljapur, Tirthkund, Ramvardayini temple are also located close by.